Telemedicine value proposition in undeniable. We wanted to take advantage of this technology to help everyone involved in the cancer care. Our Piiker cancer platform supports telemedicine from ground up. While making appointments, there is an option to specify weather you want a face-to-face or telemedicine session. There are many reasons why sometimes cancer patients cannot make it to physician’s office. Even if they do, there is lot of pain, inconvenience and cost involved. I thought, telemedicine in this scenario is very useful for everyone involved. 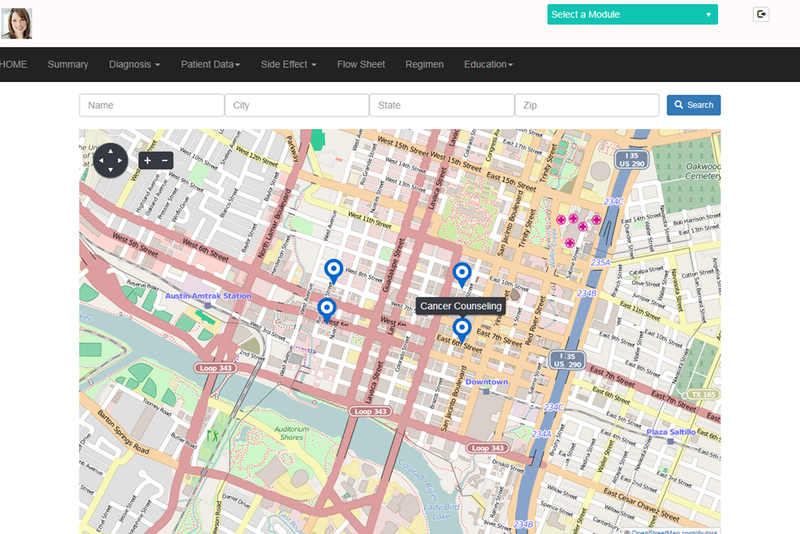 In this blog I will briefly describe how our platform supports telemedicine from ground up. Patient has to communicate with various treatment team members. In our oncology specific EMR, we have option to start the telemedicine session (if that appointment was setup to be a remote session). 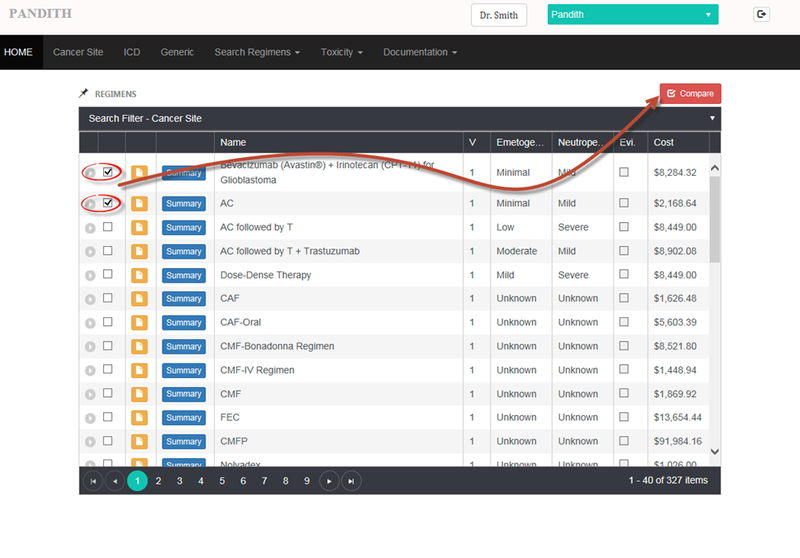 The following screen shot shows how that interface looks in our EMR. Appropriate resource from the provider’s office will start the telemedicine session. Patient can login into our oncology specific patient portal from their location and join this telemedicine session. The following screen shot shows how it is done in our patient portal. In this particular scenario, patient ‘Jane Doe’ is signed into her patient portal. She can look at list of her appointments and has an option to join the telemedicine session. As I mentioned in my earlier blogs, we have the concept of creating virtual office for counselors and nutritionists in our platform. Even counselors and nutritionists can interact with patients remotely using our telemedicine support in our platform. The following screen shot shows scheduling feature with in counselor’s virtual office. You can see that, there is an option to setup either a face-to-face or telemedicine sessions. 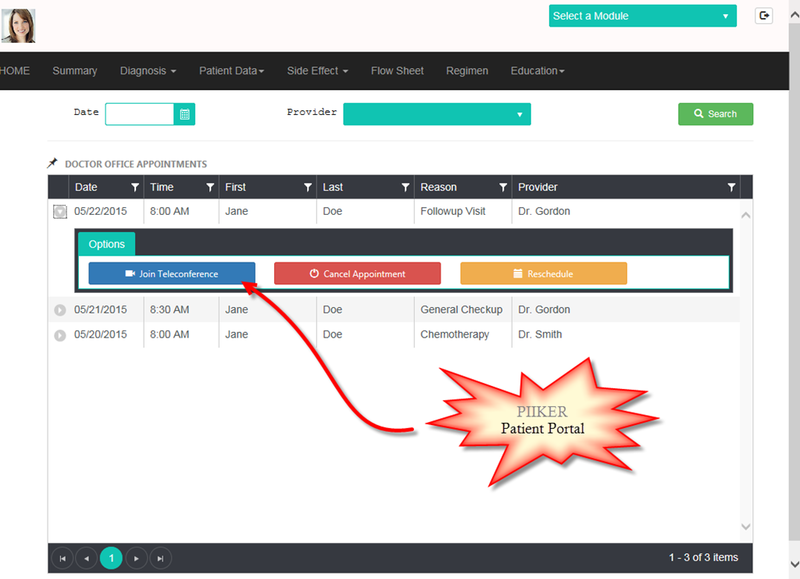 Piiker platform offers everything you need in the cancer treatment process in one place. Every piece of the puzzle is nicely integrated to provide best experience and value. We want to make a very positive impact in the world of cancer treatment. Product development is very challenging for various reasons. I personally feel that premature optimization is bad. This directly contradicts the tenets of MVP. When we are developing a product, we should aim to skip couple of generations and think beyond (dream big) . I decided to write this blog after a recent incident that happened in our product design/development team. I knew that we have a very good design which is built for accommodating changes. So I got the idea of virtual offices so that I can easily include the counseling and nutritionist aspects in the cancer patient care process. People started screaming at me and accused me (in a friendly way of course) of expanding the scope. In my mind, I was focused on the business value and had abandoned all other constraints. After few design sessions, we all found out that, with very little refactoring, we could accommodate the ‘virtual office’ concept. The point of I am trying to make is, don’t unnecessarily constraint your self if you don’t have to. IMO, this is single most important virtue that differentiates startups (small companies) from big corporations. If you search for ‘corporate innovation’ on Google, you find many articles on why that has become such a hot topic. Our product Piiker has taken a very different approach at solving the needs of cancer providers and patients. It has put together all the required pieces of puzzle in an innovative manner. This would not have been possible if I had focused more on constraints. Innovation thrives when you abandon the constraints!. Counseling plays an important role in cancer patient’s treatment process. We wanted to provide an option for patients to look for counselors through their patient portal. Also, providers can refer to patients to counselors through our oncology specific EMR. When bundled payments become the norm, the integrated solutions (like our Piiker) will bring a distinct advantage. When I mention, ‘comprehensive’ cancer solution, I really mean it. My vision is to include everything that is important for cancer patients and providers (counselors and nutritionists are also part of this) in this platform. It is easier said than done. As you can see from my blogs here and at Piiker, we have tackled this in a most elegant fashion. Even though we could have created a cockpit like interface (with lot of buttons, dials and what not), we have kept user experience clean and simple. Counselors can setup their virtual office in our platform. They can manage their employees,calendars and other related information in this virtual office. Their notes will directly gets captured in this system and available to all the providers who are in charge of managing this patient. 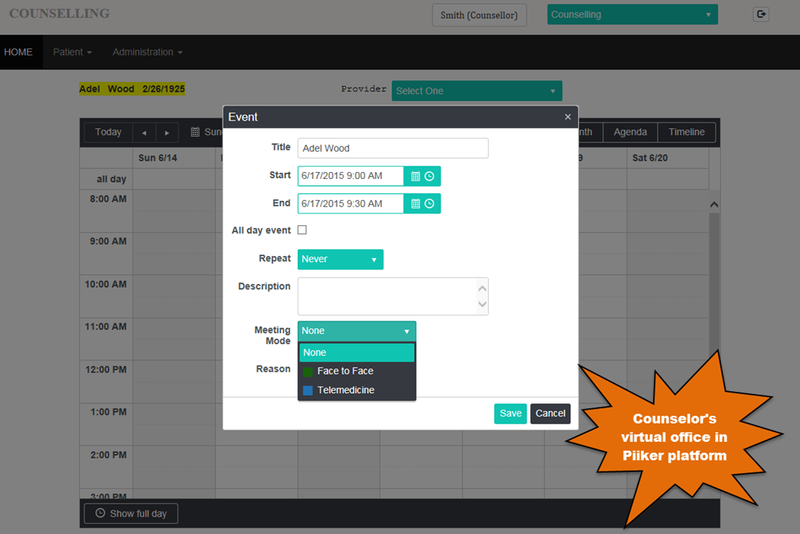 Patient-counselor scheduling activities takes place with in our platform. Same list of counselors is available in our EMR. 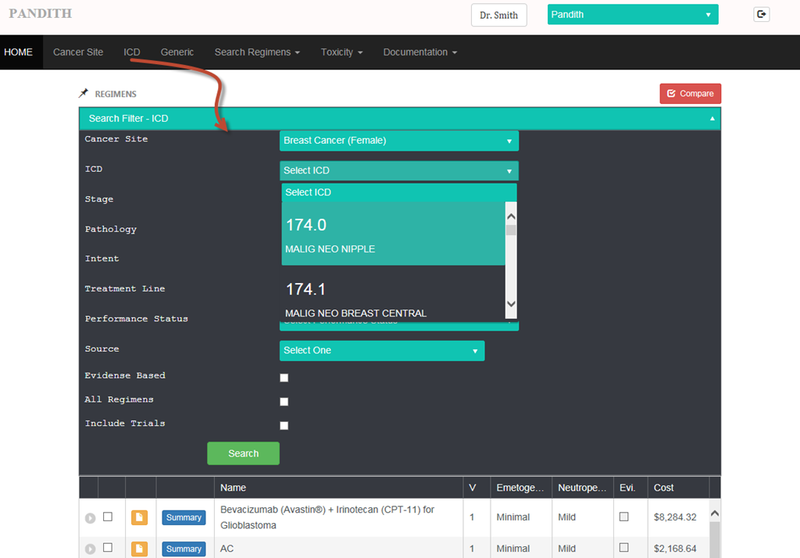 Providers can easily refer patients to one of them using a friendly interface within the EMR. I will write more on this virtual office later. It deserves its own blog post. When patients login to this oncology specific patient portal, there is an option for them to search for counselors in couple of different ways. 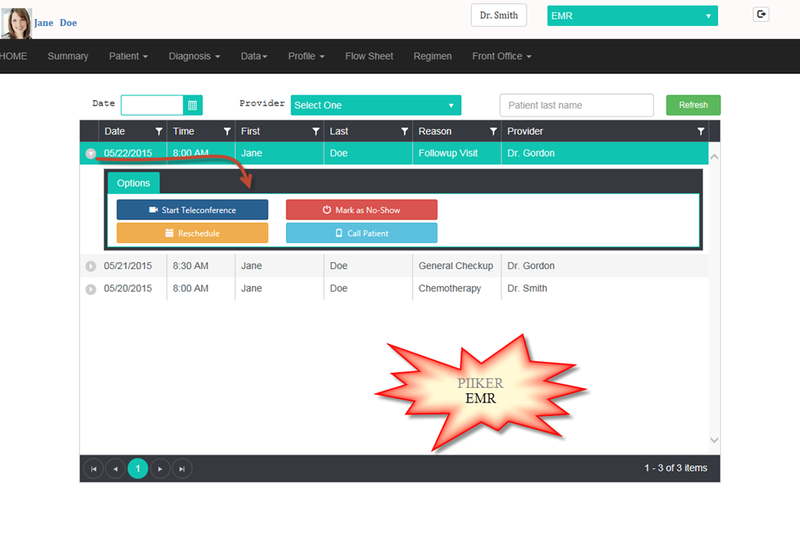 The following screen shots shows our interface in patient portal. In this case, patient wants to look at their location on a map. 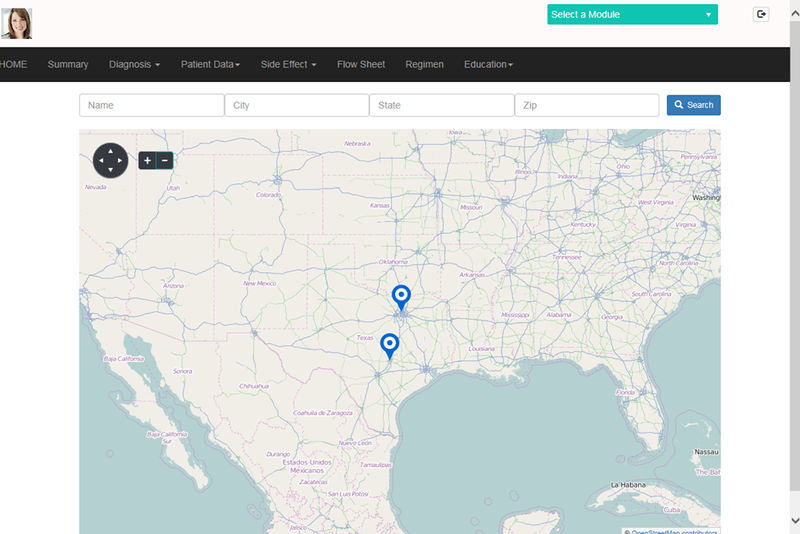 When users click on those markers on the map, they can see more details about this particular counseling organization. The displayed information includes their contact information, what kind of services they offer etc.. 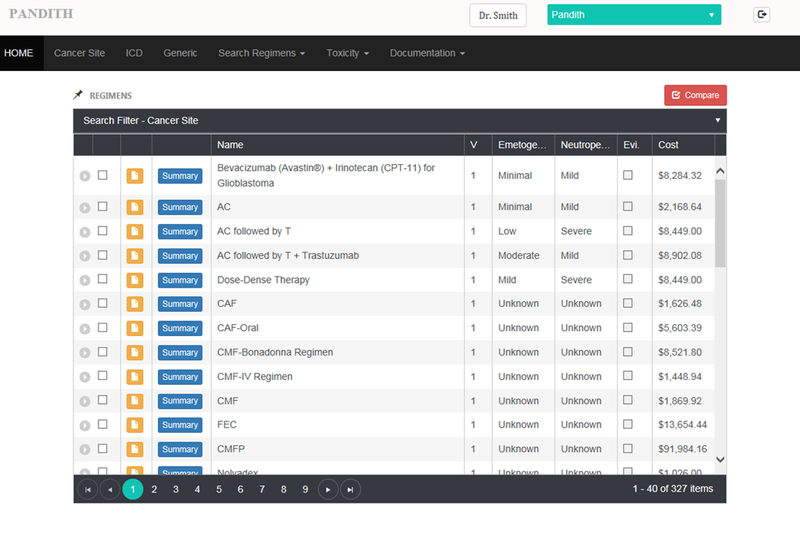 The following screen shot taken from our oncology specific patient portal shows list of regimens assigned to a patient. Just by a click of button, patient can see many useful aspects about his/her regimen. Providing ultimate UX (user experience) is a very deliberate design in every part of our application. 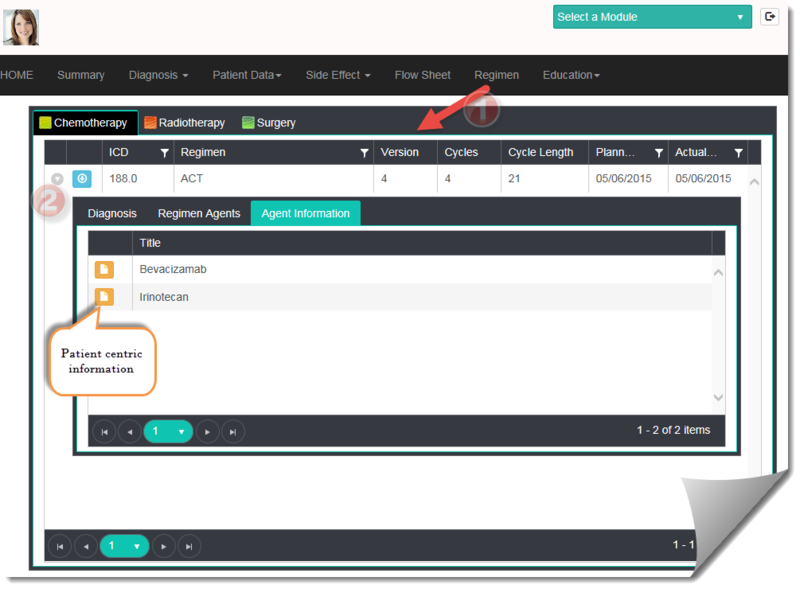 Here when patient expands the regimen to see more details, there is an option to see list of agents. Next to the names of these agents, there is a document icon. When use clicks on this icon, they will be presented with the patient centric information about that regimen. You may be wondering how this agent information gets into the platform. That is where our regimen designer comes into picture. In our platform, we are digitizing all the content related to cancer. 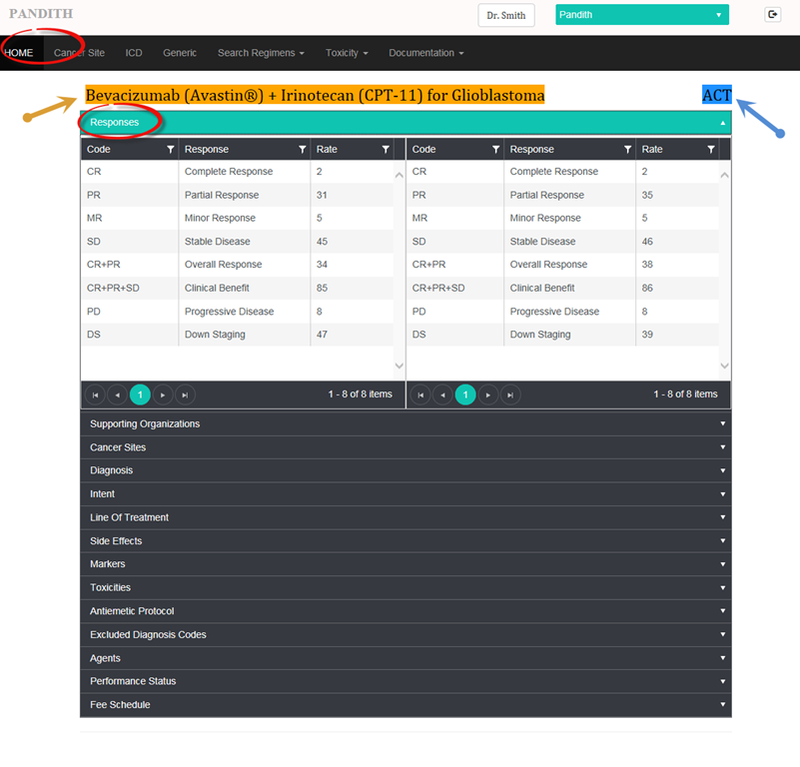 It lets us deliver this content in many scenarios, including this particular scenario in patient portal. Regimen designer is the tool which will let you manage this digital content. If we are able to provide such a rich experience in patient portal, you can imagine how much more information is made available in our provider facing solutions. At the point of care, we cannot have enough information to make a good judgment call. We present all the information you need without compromising the UX (user experience). In order for the treatment to be effective, patient adherence is critical. 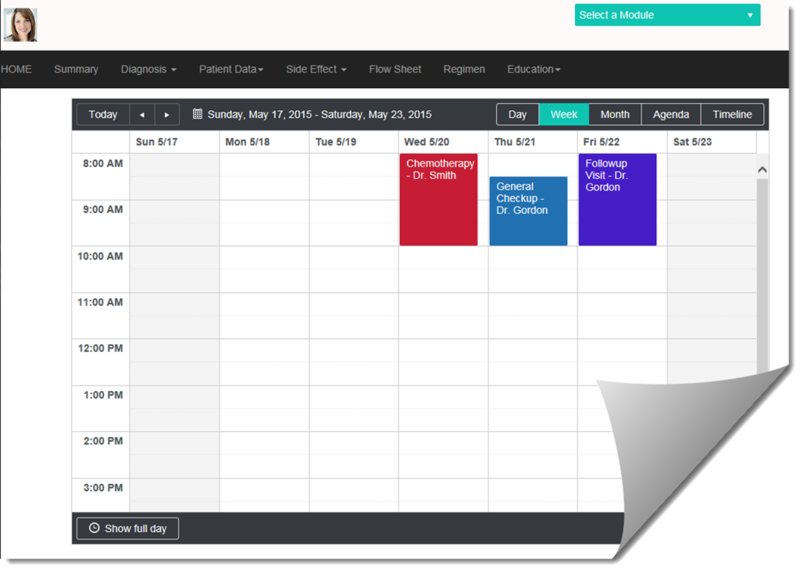 In our patient portal, we provide rich calendaring options. We can deliver reminders (optional) through email and/or text. This screen shot taken from our oncology specific patient portal, shows scheduled events for this patient. It is important to deliver clinical information in a patient friendly manner. 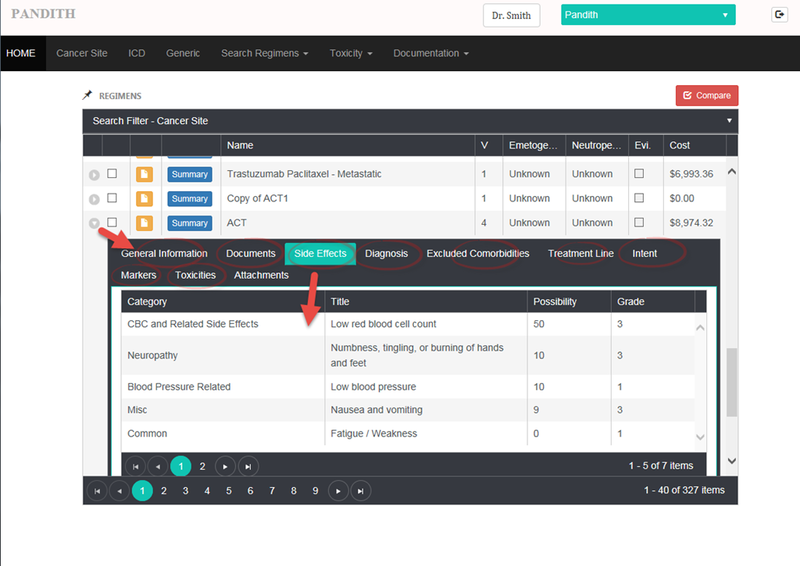 The following screen shot shows how we deliver lab information to patients through our oncology specific patient portal.